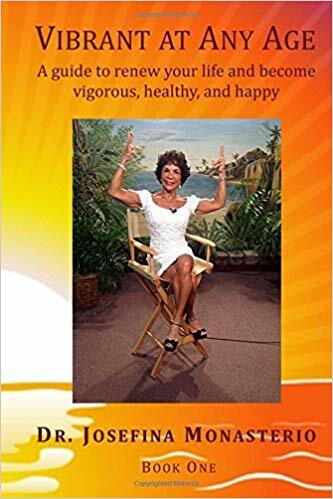 The author fulfills her desire to help others realize their full potential through her motivational self-help book titled “Vibrant at Any Age”. Every chapter teaches each reader to embrace more energy, develop a strong and healthy body, learn self-respect, and become unified in mind, body, and spirit in order to face a brighter and more vibrant future. Life coach and fitness expert Dr. Josefina Monasterio’s passion lies in reaching out to individuals who wish to become a better person and also create a better life for themselves. Through her book, she channels that desire and wishes to touch and remind readers that if she can reinvent herself, so can everybody else. With help of her expertise, she walks readers through every step of their transformation and their journey as they become healthier and happier. She hopes that through her insights, readers will be inspired to step up and begin working on becoming the best possible version of themselves. Vibrant at Any Age is a comprehensive guide and companion for readers towards their own journey to self-discovery and personal transformation. Every chapter teaches each reader to embrace more energy, develop a strong and healthy body, learn self-respect, and become unified in mind, body, and spirit in order to face a brighter and more vibrant future. All in all, it’s a book that encourages each one to reach a greater milestone in life. Wishing to reach out to a wider audience, Dr. Monasterio’s Vibrant at Any Age will soon take part in the upcoming 2018 Miami Book Fair International. Regarded as the nation’s finest literary festival, this eight-day affair is set to bring in the grand celebration from November 11-18, 2018. With hundreds of book titles of different genre types and thousands of individuals in attendance, this event is definitely worth checking out! Dr. Josefina Monasterio is a life coach, fitness expert, nutritional counselor, bodybuilder, and TV host. From a life of severe poverty in Venezuela, Josefina had a dream that would not be denied. After a journey of self-discovery and spiritual guidance to a new life in the United States, she continued her transformation into a person of substance and value to others. Dr. Josefina’s mission is to help others realize that if she can do anything she puts her mind to, so can you. She believes that the integration of body, mind, emotions, and spirit is the most powerful vehicle for reaching one’s goals. Her personal accomplishments and empowering shows, and now this book, will inspire, motivate and encourage you to break your own personal barriers and become the best you can be.